On the 45th floor of the Nakamoto Tower in downtown LA the new American headquarters of the immense Japanese conglomerate, a grand opening celebration is in full swing. On the 46th floor, in an empty conference room, the dead body of a beautiful young woman is discovered. The investigation begins and immediately becomes a headlong chase through a twisting maze of industrial intrigue..a no-holds-barred conflict in in which control of a vital American technology is the fiercely coveted prize and the Japanese saying "business is war" takes on a terrifying reality. 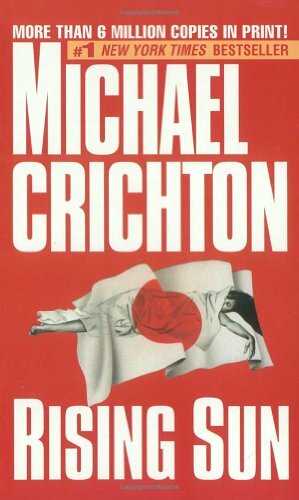 This book was good but maybe a little slow for Michael Crichton. 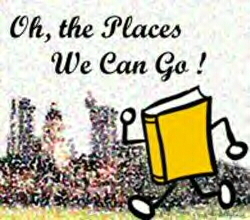 I am going to use this in the "Oh, Places We Can Go" March challenge. Placing in the Early Spring Cleaning bookbox. Took out of the bookbox. I found this mystery fascinating. It is too bad it took me almost five years before I picked it up to read. I recommend it.